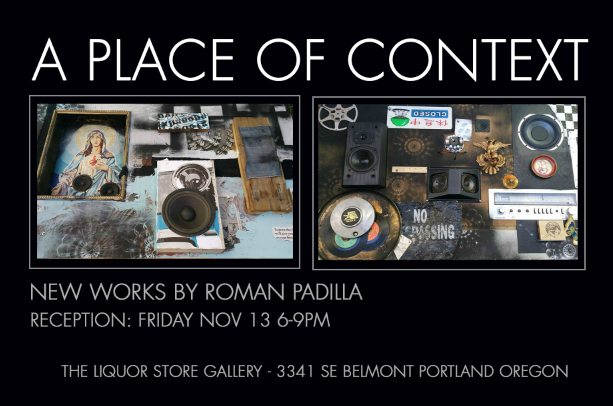 A solo exhibit of new work by Roman Padilla, an Oakland based artist with a BFA in Community Art from the California College of the Arts and recent transplant to Portland. His work is conceptually driven and explores central themes of tension, growth and change. He describes his work as abstract, reclaimed-collage paintings. The use of found material has taken on a predominant role in his work, since his arrival to Portland as it has provided the perfect new landscape in which he considers to be a re-claimers paradise. ““A Place of Context” is a culmination of this heightened dedication to re-purposing materials, his natural response to this new environment, a deeper exploration of context and perspective. 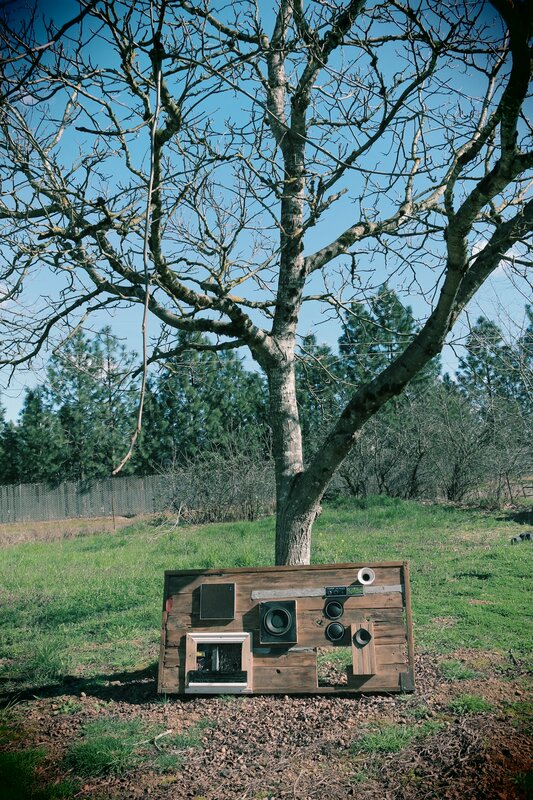 The show consist of new work made of objects and materials collected, found, or re-claimed and their shifting place of context depict a new style in his work. Making art with functionality to question the paradigm of painting as a lost art he believes it should serve a purpose both conceptually and physically. A huge theme in my work is the tension between nature and technology, urban dominance or mans interference with natural process. My new series of work, that I am calling "Audio Paintings" deal with this struggle and also address the issue of artwork not being valued without a functional element. The misinterpretation of painting as a lost art and conceptual art not given attention or at least not being marketable as it lacks the element of commodity. These new paintings are functioning sound systems made of reclaimed material and not only do they serve as artwork in the traditional sense of conceptual works but they are also fulfill practical purposes and solve basic issues of limited space with clever design.